The 3-star rated Game Lodge includes the historic Country House and the newer Shearers Lodge Suites. The Country House, built in 1908, offers five spacious en-suite bedrooms, and is layered with a collection of historical images, documents, and furniture dating back to the 1800s. Set back from the Country House, Shearers Lodge offers contemporary double suites, overlooking a cool low-roofed verandah and tranquil swimming pool. The rooms are all luxuriously appointed consisting of 3 twin rooms and a family room. Savour a quiet moment in the dim stillness of the 19th-century stone chapel. Enjoy high tea in the shade of the verandah. Sit late into the night in the convivial stone-walled cellar bar. 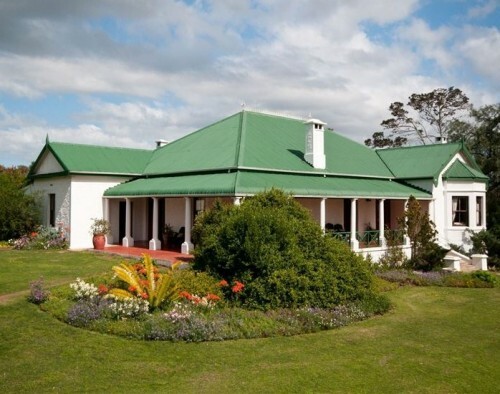 This wonderful homestead has been in the Fowlds family for five generations, and the family takes great pleasure in sharing its remarkable Southern African family heritage with you. Safari Trips And A River Cruise. Riveting Safari Trips under guidance of professional game rangers on this South African vacation present guests with breathtaking views of the wildlife at Amakhala Game Reserve, which include rhino, elephant, cheetah, buffalo, giraffe, black wildebeest, zebra, tortoise and over 16 antelope species.